Hopefully, an outcome of the new television rights deal will be the humbling of Channel 9. For some years now, 9 has not had the best interests of the NRL at heart. That lack of live Storm games into Melbourne, so called live games on delay, the absurdity of the Sunday game on delay, etc reveal a dark heart to 9′s coverage of the footy. Now David Gyngell is suggesting the game be change to incorporate more ad breaks. Obviously he is not content with Ray Warren, Sterlo and Gus constantly (and embarrassingly) spruiking betting agencies and cross promos during the broadcasts. Gyngell also talks down the billion dollar price tag for the rights but he would. He’d love to get it cheaper as they did last time the rights were up. I hope this the NRL is not so naive and extracts the full dollars from the networks. One that that the NRL must insist on is all games live. The delay for the Sunday game exist solely to serve Channel 9. There is no other need for it. The coverage is night unwatchable due to the number of ads and little analysis pre and post game. It is a mockery of what modern sports broadcasting should be. 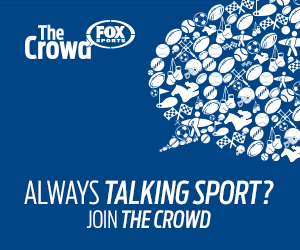 A change is needed that benefits the NRL and not the arrogance of TV stations. Their first meeting this year was a monumental game with the now infamous moment when Hayne showed Payne where exactly his forearm hit Hayne’s head. Alas this game Hindy won’t get some revenge on Ennis (out the through injury) but he will get the win denied last week. The Storm are one of the big three; The teams that seem to be a few steps ahead of every one else. The question is if the Broncos are to join them as the big four. I’m not sure on the Queenslanders’ credentials but this could be a fascinating game. The Cowboys seemed to suffer a case of No Thurstonitis. The Titans however are suffering from everyone else. And may they suffer some more as their season winds down. The Cowboys have a top eight spot to play for and even without JT will get home. Another game where one side has a real crack at the top eight and the other is looking at Mad Monday and the end of season trip. With Lawrence and Tuquri back and Benji starting to look interested the Tigers should be too much for the Chooks especially at Leichhardt. Hard to get an idea on both sides as their opponents last week were simply a class above. But the Sharks are proving quite a handful at home and should be too much for the Knights. Get yer radars out for this game. Manly have been pretty impressive the past few months (regardless of the loss to the Saints) where the Panthers have been a little up and down. If the Panthers are a contender this then this game is the one to show it. On form Manly are the team but the Panthers will be buoyed by last week’s escape. The game of the round for mine. 10 years since the Dragons won in Canberra. But on form, this year suggests that the Dragons may finally over come the hoodoo. All good things come to an end and if the Dragons minds are sound then they will break the curse. Unlike other years, Canberra have nothing to play for. This will do their heads in.